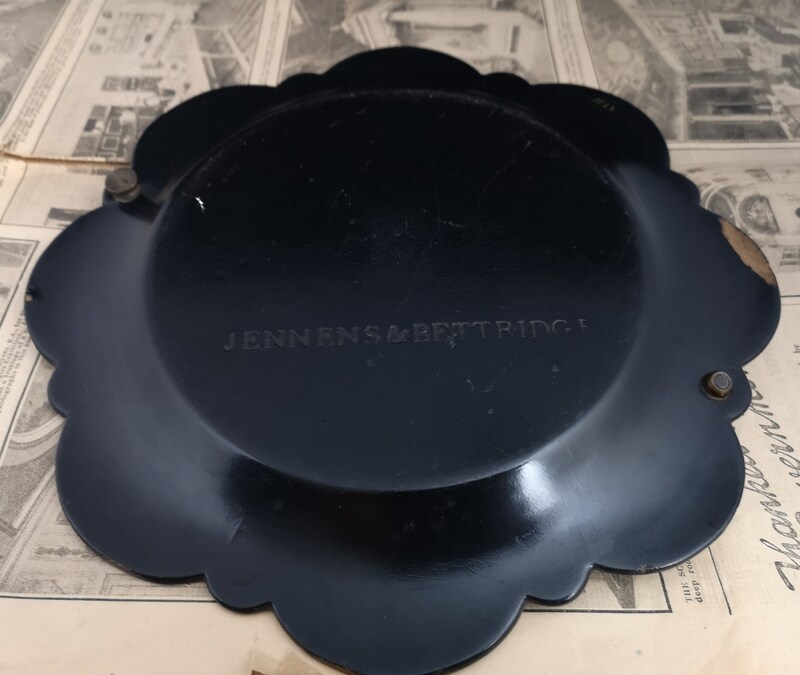 Jennens and Bettridge were famed for their exclusive works in papier mache including furniture. 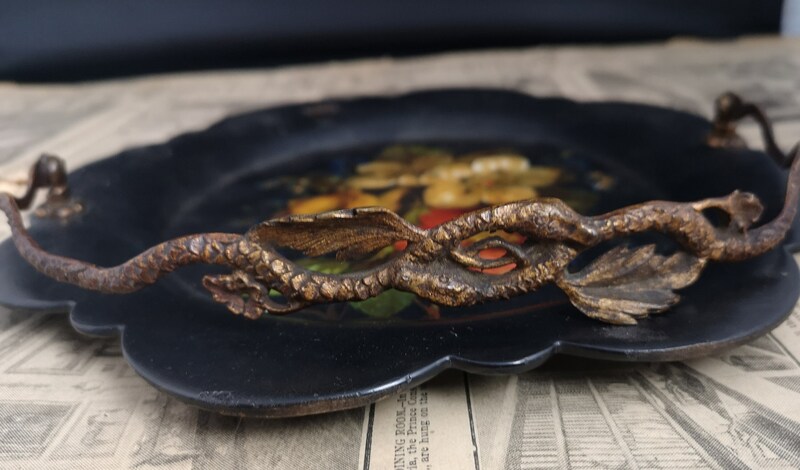 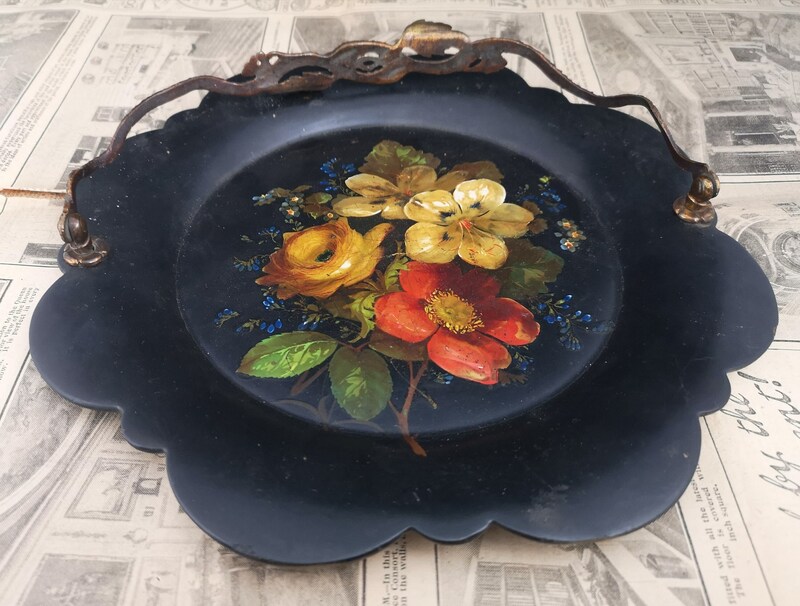 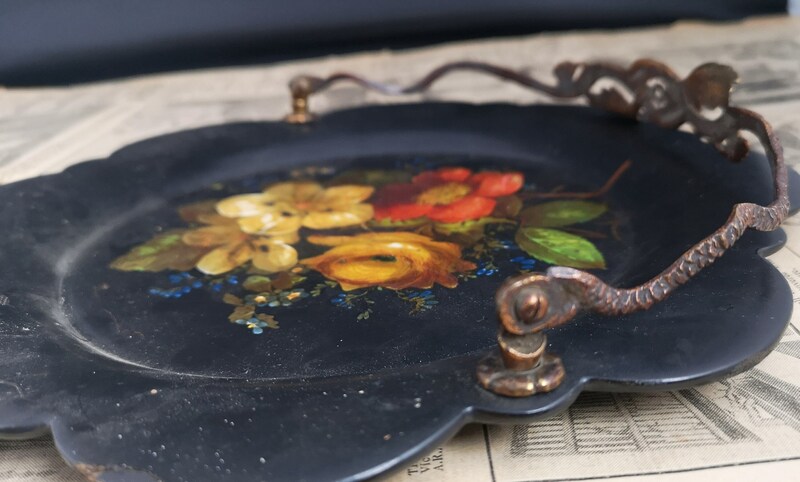 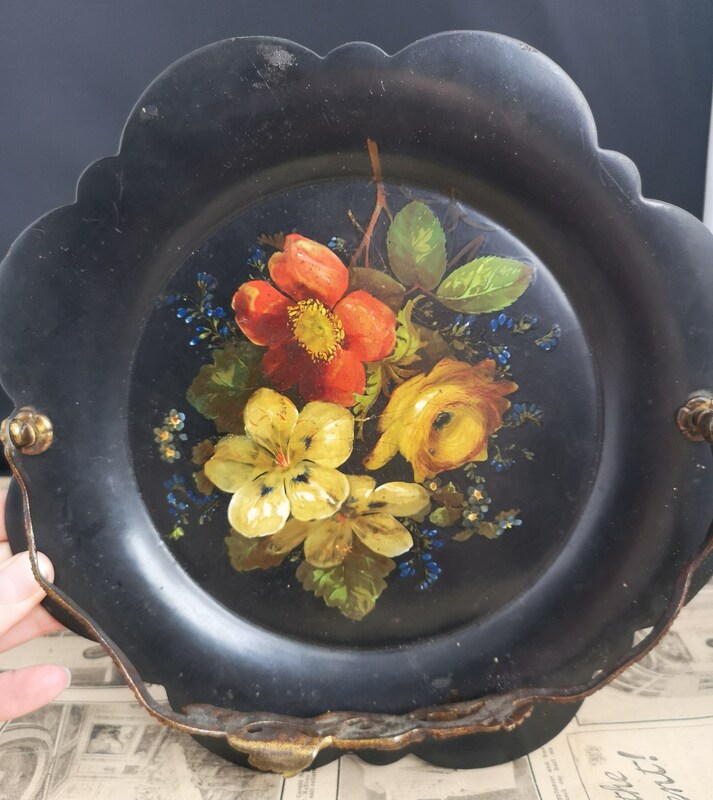 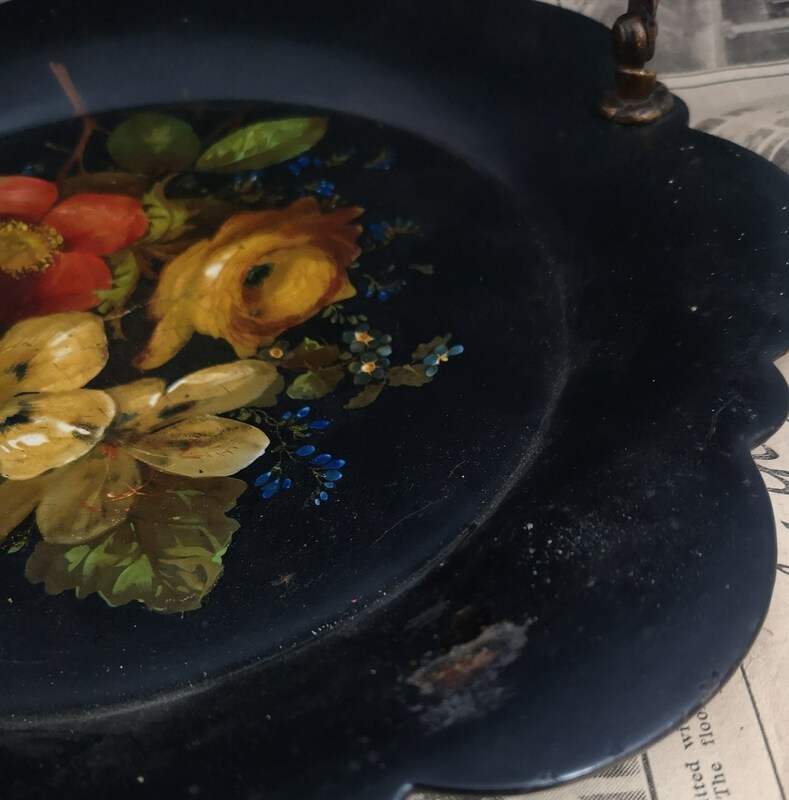 This is a calling card tray, centrally decorated with a very detailed hand painted floral spray it has a gilt brass handle which is modelled as vines and leaves. 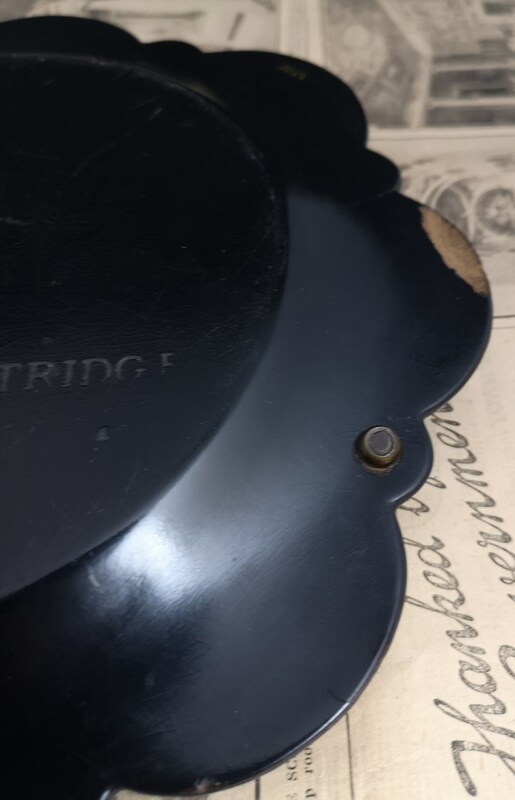 Embossed makers mark on the back. 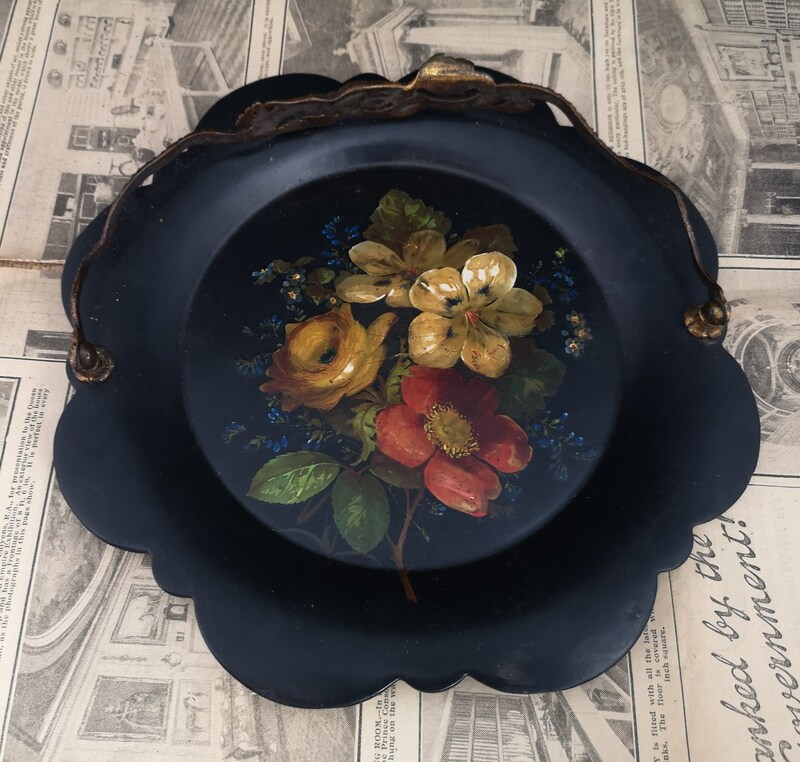 Black lacquered background with a scalloped edge and slightly raised. 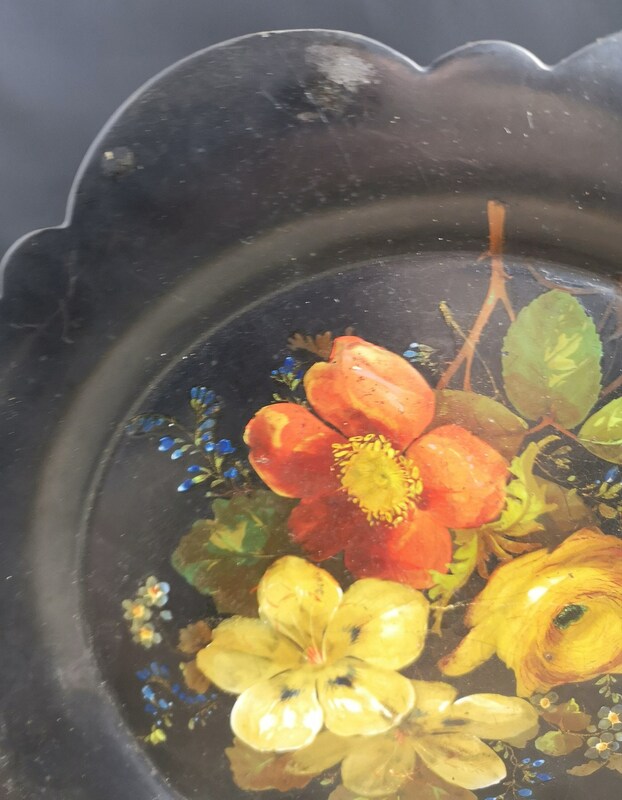 There are two scuff marks to the top where the handle has rubbed, there is a small chip and a weakened section where the chip is. 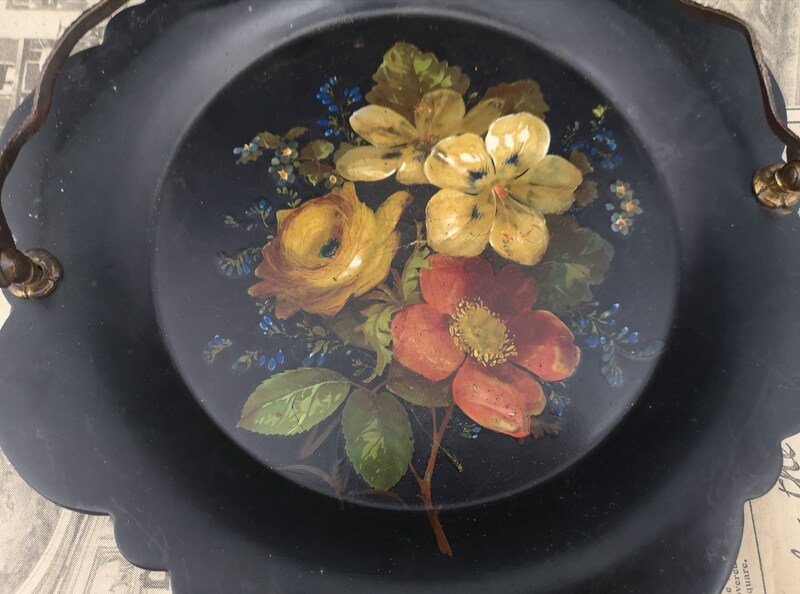 Some wear to the gilt brass handle.